Air travel is experiencing a period of great change. The constantly growing number of passengers deriving from the exponential ability to travel is about to bring new challenges for the airlines. At the same time the technological improvements in the aircraft are going to further enhance safety and efficiency during flights. Captain Zisis Pehlevanoudis, Accountable Manager of Aegean Airlines talks about the technological progress in aircraft development, including the role of Artificial Intelligence and the ecological inclusion of better fuel efficiency and shares his vision about the future of aviation. Mr. Pehlevanoudis, in a rapidly-evolving world, in the age of digitalization, what is the importance of the new technologies in the aircraft? 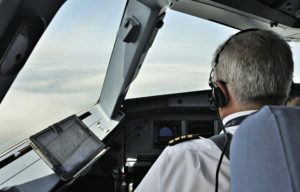 The technological evolution and especially the development in the field of electronic computers, offers more assistance to the pilots and enhances significantly flight safety. Formerly, the aviator had to assess information provided via analogue instruments without being able to notice immediately the impact of system failures, without time consuming further analysis. Today, the digital technology offers a clearer depiction on screens and even in abnormalities, offers clear solutions to the problem and contributes much more to flight safety. Can you please mention a couple of the latest technological additions in the cockpits of Aegean Airlines? Aegean’s aircraft are equipped with all the latest technological tools and devices. Now generally speaking, the aviation community is a very open community. We share our experiences to prevent reoccurrence and to identify threats that need to be managed. The reaction of the industry is to develop systems that if they were in place, this kind of events could have been avoided. For example, Enhanced Ground Proximity Warning System (EGPWS). the aviation community realized that controlled flight into terrain was contributing greatly in the past at the overall accident numbers, although all airplane systems were functional. This was mainly due to loss of situational awareness combined with adverse weather. The new technology offers a digital depiction of the topography in relation to the position of the aircraft. If the aircraft approaches high terrain beyond a preset threshold, the pilot is alerted not only visually but also aurally. This then triggers immediate actions which have been engraved in the pilot’s mind via training. If we look at now the international controlled flight into terrain accident statistic it went down to zero. Another system worth mentioning, is the Traffic Collision Avoidance System called TCAS. This system provides a clear depiction of the air traffic around our airplane on the screen. The system alerts the pilots visually and aurally if another aircraft threatens our flight path. It even goes as far, that the computers of the involved aircraft collaborate and in case of an eminent threat, instructions given to the crew for the one to climb and for the other to descent This is a technology that did not exist in the past 20 years and makes busy airspace safer. What are the qualities of a good pilot? Professionalism as a deliberate act. One of the universal truths is that big things are made of small things. A box of parts without a picture of the whole and assembly instructions is not a “big thing in the making”. It’s a box of parts, and will likely remain so forever. Therefore, apart from the classic aptitudes, in Aegean we focus on professional ethics, vocational excellence, continuous improvement, professional engagement, professional image, selflessness. Mr. Pehlevanoudis, modern Artificial Intelligence is here to stay, technology forecasters say. What is the role of AI systems in the airspace industry? As in other fields, artificial intelligence plays a very significant role in the airspace industry. I can only detect advantages in this development. The computers are programmed in such a way so as to assist todays flight crew into piloting their aircraft in a very low risk manner. For example, as a pilot I cannot stray from the flight envelope. The computer is programmed in order to avoid exceeding limits because this will be dangerous and harmful. Importantly, the pilot can control this. Artificial intelligence is controlled and its role is to assist and not to create additional difficulties. To move to another important issue, passengers’ numbers are expected to double over the next two decades and carbon emissions from aviation will rise along with them. How will aviation industry cope with this in order to reduce emissions and comply with global climate policy? You are right. Nowadays, more and more technologically advanced engines are manufactured with less emissions and gas consumption. Apart from that, we as a company control this via the instructions we give to the pilots. Our fuel policy is development with operational safety /efficiency and passenger comfort as a core value. The fuel tankering policy we follow, always accounts for carbon emissions. Less weight means less fuel and less emissions. 5 years ago, we introduced in our airplanes the so called “paperless cockpit”. Each of our pilots received one iPad and we took out the whole airplane library, which was nearly 40 kilograms. More than 150.000 printed material was required by the crews every day to perform their flights. After a long process with the authorities the approval eliminated paper prints. Additionally, we invested in new technology and modern flight planning systems that find and calculate the most suitable routes based on the prevailed weather conditions at a specific time. New, more efficient engines are constructed but the most important of them all is that we educate our crews also in the direct relation of fuel consumption and environmental issues. I have been round the world on a five-seat single-engine aircraft- This definitely exceeds the rest of my memories! My flights back then, when analogue instruments were used, were totally different from today’s’ aviation conditions. Today, the basic dexterity of the pilot have shifted from being a good operator to comprehending the electronic devices in the aircraft. Nowadays, an aircraft is programmed so as to achieve the best result possible. I have been round the world on a five-seat single-engine aircraft – this definitely exceeds the rest of my memories! Could you share with us your vision about the future of aviation? There is no doubt that aviation is safer in comparison to that 20 years ago. The future holds for more technological advantages which will contribute to even safer flying. In addition, infrastructure developments, with operational efficient airports, having at the same time a passenger friendly profile. Making Greece a country in which aviation and flights are facilitated is one of my personal goals. Flights must be safe and easily carried out in the Greek airspace. Having this goal, the state as well as the infrastructure should be upgraded. Zisis was born in Larissa, Greece, in 1962. In 1968 he moved and lived in Germany where he studied Electrical Engineering and piloting. He worked in Germany in several companies as a pilot until 1995 where he started in Athens as a captain and instructor on the first Aegean’s Learjet. In 1999 Aegean started airline schedule services and he was responsible for the flight crews and flight operations, acting as a captain and holding the position of the Flight Ops Director. In 2016 became the deputy Accountable Manager of Aegean and Olympic until recently where he took the position of the Accountable Manager of both companies. 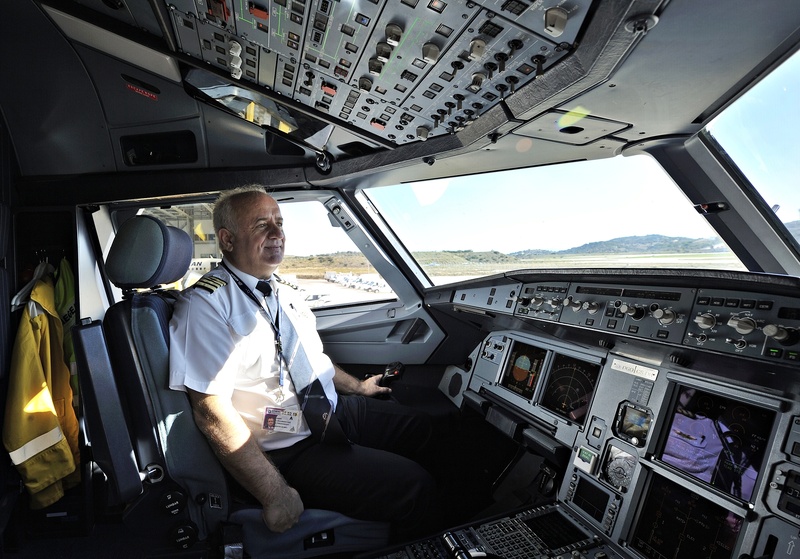 He is still an active captain on the Airbus fleet.